So you’re headed to Argentina, and you want to see the sights… but not just any sights. You want to see the coolest, most hidden-away places. The spots frequented by locals. Places free of hordes of tourists. You’re looking for things that will take your breath away. You already know about Argentina’s famous spots – the tango-loving capital city, the big glacier in the south, the world-famous waterfall in the north – and you want secrets. If that sounds about right, this list is for you. Most visitors to Buenos Aires end up wandering around one of the city’s many sprawling parks at some point, usually the Botanical Gardens or The Rosendal. 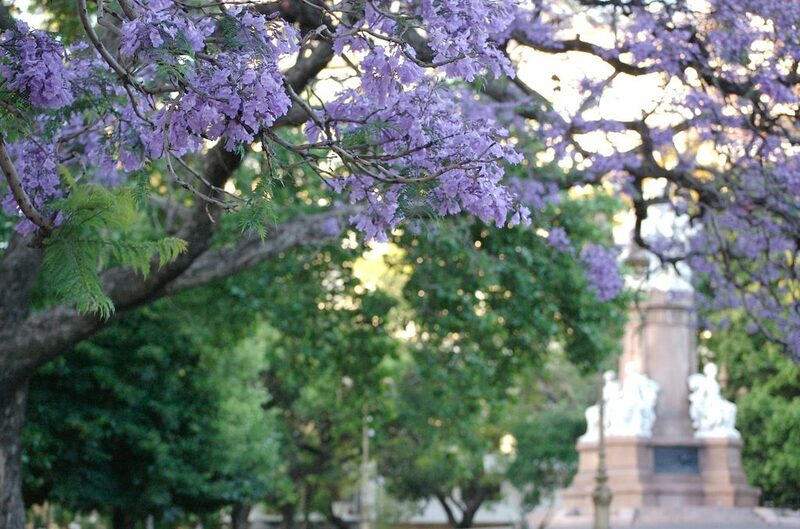 But not many set foot in this secret grove of jacaranda trees in Palermo that burst into violet every spring, which is November in this part of the world. Patagonia’s hiking headquarters, i.e. the town of El Bolsón, attracts nature lovers year-round. They trek around the surrounding mountains and usually visit the big lake in the area, Lago Puelo. Many are unaware there’s another lake, Lago Epuyén, that’s equally worth seeing. It’s smaller and a bit further out, offering greater intimacy with nature. Circled by forest-covered mountains, the lake is absolutely stunning at sunset. At the Tierra del Fuego archipelago at the very tip of Argentina, proverbially known as “the end of the world,” there’s a rusted ship you can visit that’s still cast out at sea. The old wrecked boat, known as “Desdemona,” is mired in the Atlantic Ocean near Cabo San Pablo. Visits can be arranged through Tierra Turismo. Hidden away in Argentina’s northern waterfall region of Misiones, you can see amethysts lodged in the very lava that formed them. 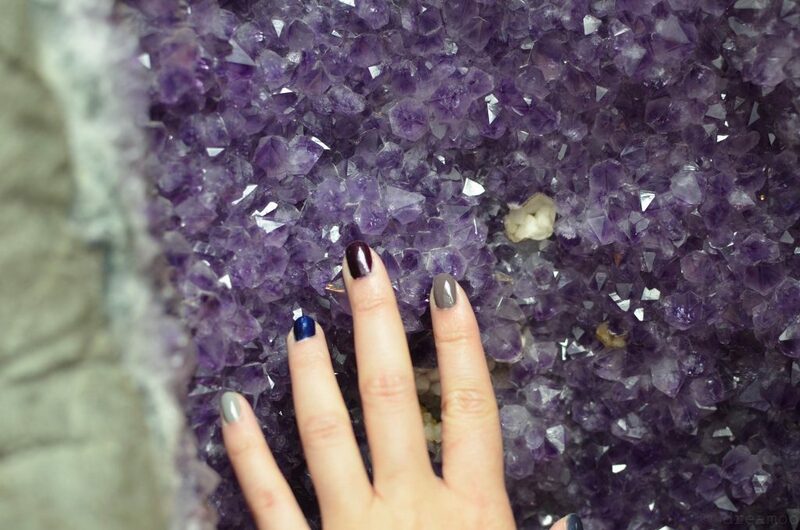 A visit to the Wanda Mines takes you back in time, when volcanic activity broke through the Earth’s crust and created tons of crystals, which you can see up close and explore in their natural state. The mines are located about 30 miles (50 kilometers) south of Iguazú Falls in the town of Wanda, a Polish settlement named after a Polish princess. The mines are accessed by tour, most of which also stop at the 17th century ruins of a Jesuit mission. 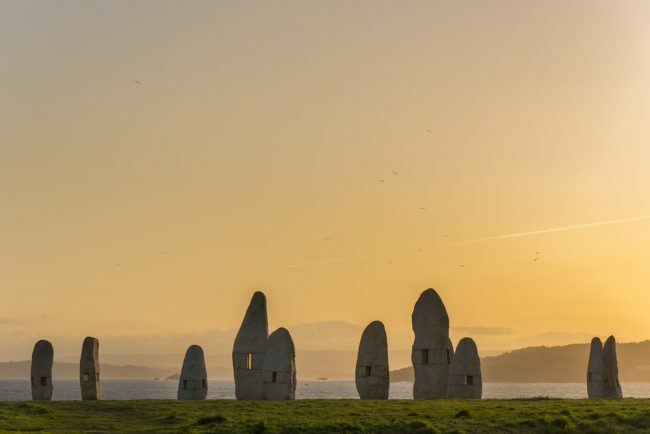 If ancient stone carvings are your thing, you should definitely seek out the mysterious prehistoric statues created by the indigenous Tafí culture. Known as Menhires, the granite carvings of men and animals – some of which weigh as much as four tons – are located in an archeological reserve in El Mollar, just south of Tafí del Valle in the province of Tucumán. 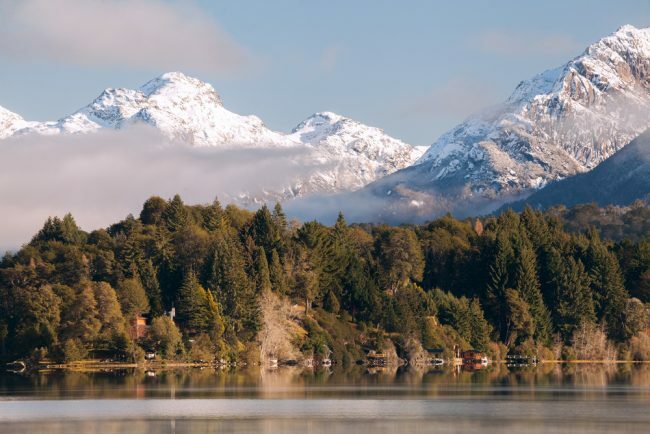 There’s a lovely little hike in the mountain town of Bariloche that culminates in jaw-dropping views over Nahuel Haupi Lake. The walk, which only takes a few hours, winds through a forested area before opening up to a clearing and then ascending a small mountain with plenty of look-out points along the way. 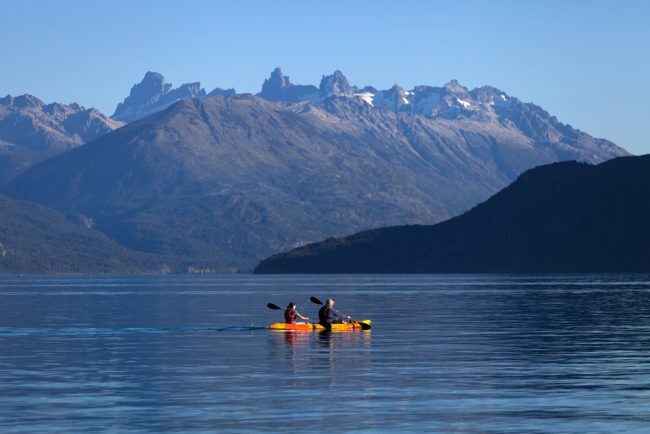 A gorgeous walk that’s not very strenuous, Cerro Llao Llao is the perfect spot to picnic in the mountains of Patagonia. Part Argentina’s, part Chile’s, the marble caves are inexplicably ignored by most newcomers to Argentina, perhaps because there isn’t a whole lot of information about them. So here’s what you need to know: The caves are part of a mountain that stands in a lake joining the two countries. 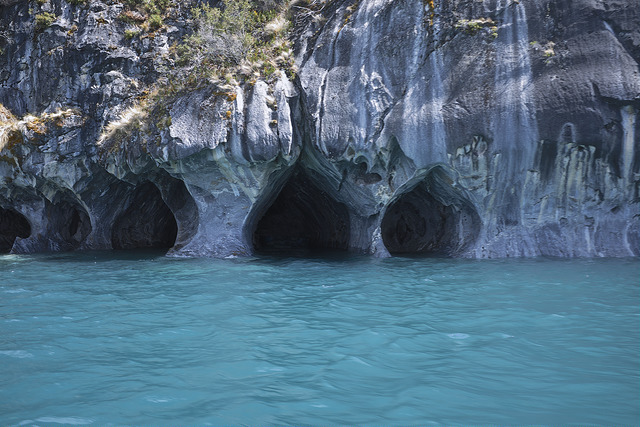 Thousands of years of water erosion created huge arcing caves you can visit by boat. The lake in question can be reached via Ruta 40 in Argentina, but for access to the caves you have to cross over into Chile. 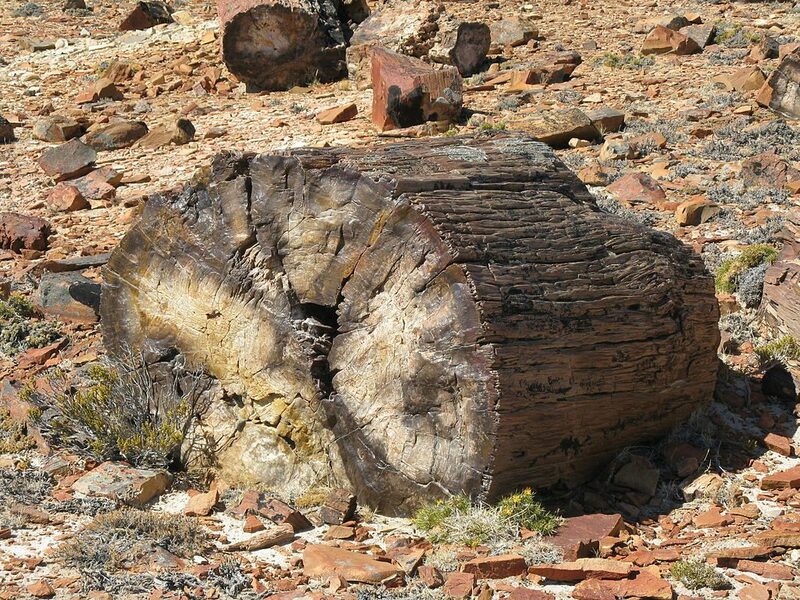 Why go see just any old forest when you can see a petrified forest? Exactly. Why have you never heard of Argentina’s ancient Jaramillo Petrified Forest? Good question. For some reason, word just doesn’t seem to get around. The 150 million-year-old fossilized forest contains not just petrified trees, but also dinosaur remains. This one is for the adventurers. Outside of the city of Mendoza are the ruins of an old hotel and its thermal pools, which you can actually soak in while taking in the dilapidated view. Located 300 kilometers outside of Mendoza, the ruins of El Sosneado, a hotel built in 1938 and then mysteriously abandoned, can be accessed by car – providing your car has four-wheel drive. Wealthy guests would flock to the then-opulent hotel for their naturally-occurring thermal waters generated by nearby volcanic activity – and you can enjoy them too, though don’t expect any room service. While most tourists to Salta busy themselves with the colorful hills of Humahuaca, the remote village of Iruya offers something different. The small town, which is ringed by mountains, stands at 9,120 feet (2,780 meters), so you can imagine how incredible the views are. It also offers visitors a glimpse into mountain life, where traditions that predate the country’s colonization are still preserved. 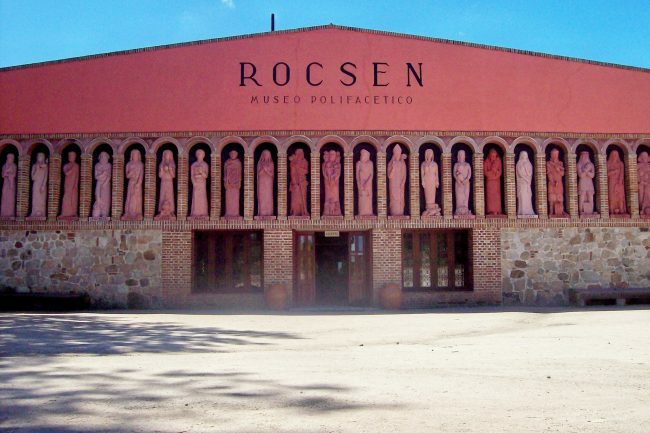 Museo Rocsen, located just outside the town of Nono in the north-central province of Córdoba, pays homage to humanity by exhibiting just about everything you can think of, and then some. The creation of French-born polymath Juan Santiago Bouchon, the museum holds 18,000 pieces in sweeping tribute to the development of human thought. To give you an idea of what that looks like, the museum holds part of the Berlin wall, loads of motorcycles, an equally robust collection of butterflies, and a bizarre two-headed calf, among many, many other things. The Andean town of Cholila in the north-eastern province of Chubut is notable because it unites the four valleys of El Cajon, Villa Lago Rivadavia, El Rincón and El Blanco. If that fact alone has you envisioning quite the landscape – yes, well, that’s why Cholila is a must-go. The place is simply gorgeous. “Cholila” is a Mapuche word (the Mapuche are an aboriginal people native to Chile and Argentina) which is believed to mean “beautiful valley.” The town was an indigenous settlement before the Europeans swept in, and a pre-colonial presence can still be felt today. The Fiambalá hot springs in the northern province of Catamarca are celebrated for their healing properties. The mineral-rich waters stream down from the mountains at temperatures ranging from 100F to 160F (38C to 70C) degrees and are routed into 14 pools. The town of Fiambalá itself is also quite beautiful, full of olive trees and old adobe houses. Nope, not the Indian reservation in the U.S. that has been the subject of recent controversy. Piedra Parada, which literally means standing rock in Spanish, is an iconic stone monument guarding a cavern in the Argentina’s south. The rock itself is of volcanic origin and is a big draw for mountain climbers. 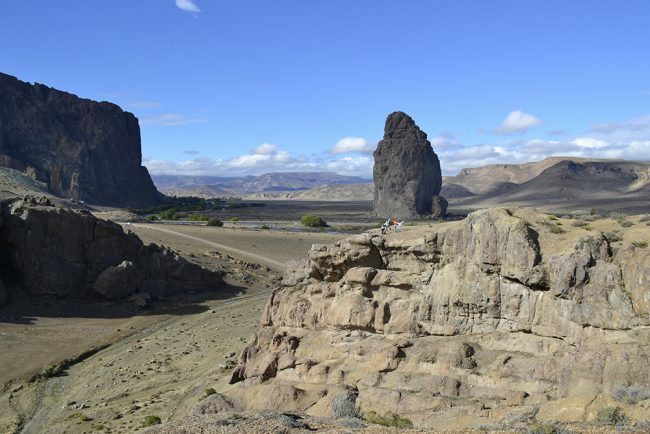 Located in the province of Chubut, Piedra Parada is part of a natural reserve. If one of the leading Argentine newspapers says the small towns of Nazareno and Poscaya high up in the Salta mountains are little-known, you can be sure the settlements are completely off the English-speaking tourist map. 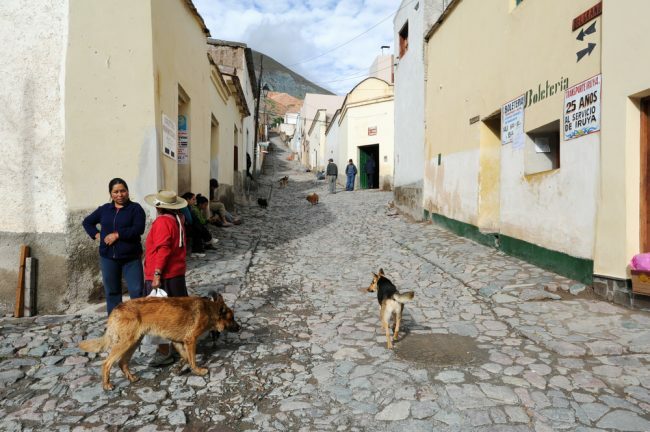 In fact, the first line of the La Nacion article says of them: “Tourists are not common,” while the headline teases a visit, saying they’ll “surprise you.” Located at high altitude – 9,840 feet (3,000 meters) above sea level – and built mostly of adobe, the two towns capture an older way of life. There is no cell phone connection; it is very remote, so life is different. In Nazareno, very little of the town is level, being literally built into the mountain. Almost everything’s at an angle. 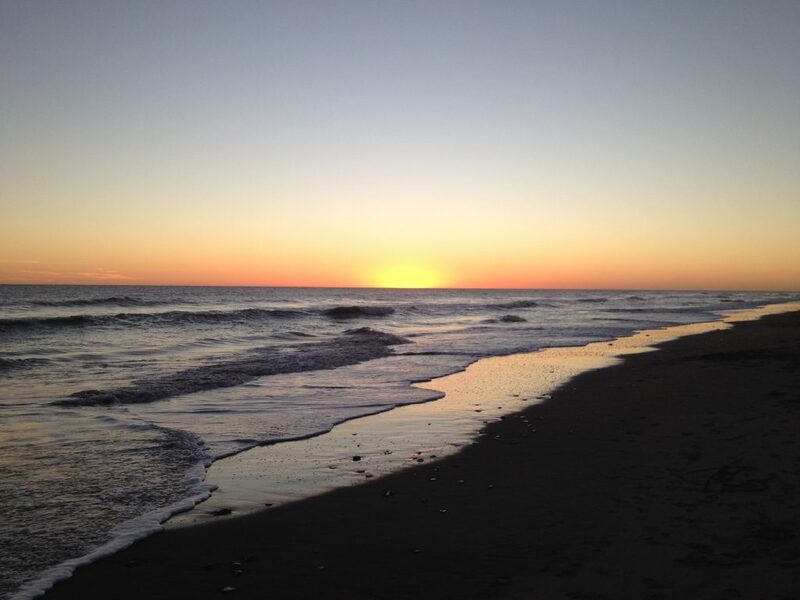 Neither town is easy to reach, but they’re worth it if you’re after an exceptional experience.